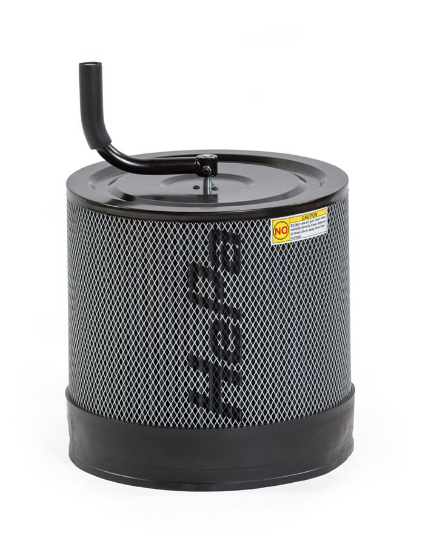 The DustFX replacement Hepa filter fits the CWI-DCP005/005H/005HT single stage dust collector as well as most similar 1 hp single stage dust collectors with a 14.5” bag diameter. The DHF370T is extra tall to allow extra filtration performance while improving the collectors CFM performance. The advanced performance Hepa filtration will filter out 99.97% of dust particles .3 micron and 100% of all dust particles .5 micron and larger. To clean the canister filter simply move the cleaning handle a few rotations upon completion of each use. Browse the product archive. Type: Dust Collection. Brand: Dust FX. Accessory: Accessory Product. Bookmark the permalink.